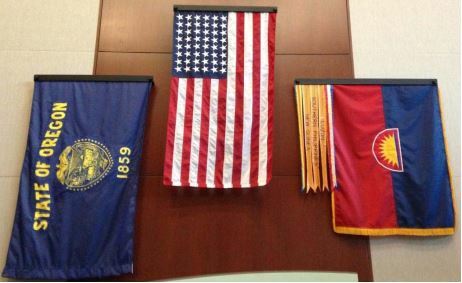 and as always the “What’s that Flag?” (from quizmaster Max Liberman), notes from our last meeting, and our new recurring feature on Portland city flag news, Portland Flag Miscellany. 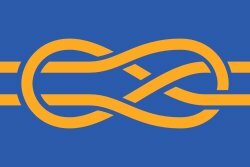 Click here for this latest issue (PDF, 1.6MB), or see portlandflag.org/vexilloid-tabloid for access to this and all previous issues. 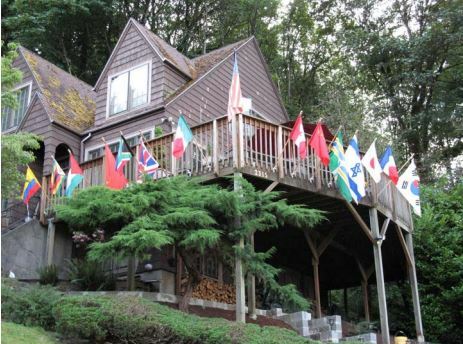 The next PFA meeting will be at Ted Kaye’s house in NW Portland, 7 p.m., Thursday, July 11, 2013. 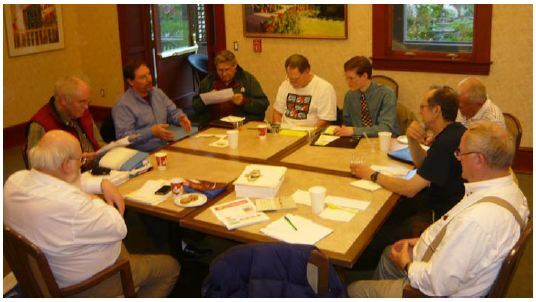 See the next meeting page for details. 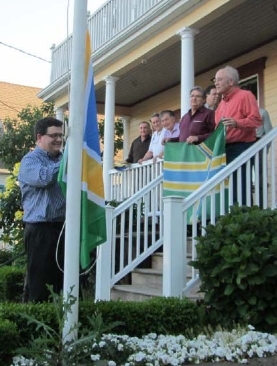 We look forward to seeing those of you who have missed recent meetings, plus hear some new stories, see some different flags, and engage in provocative discussion. 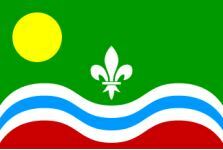 Newcomers interested in flags always welcome! 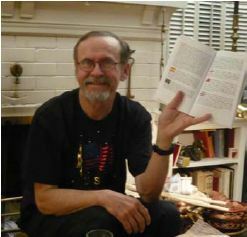 If you can’t get to the meeting, perhaps you can give Vexilloid Tabloid editor Ted Kaye something to share with our readers and web visitors. 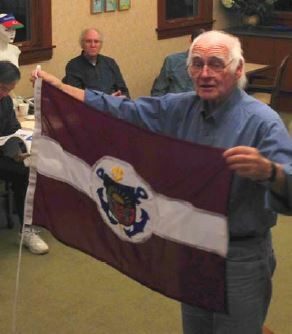 Scott Mainwaring hoists the PFA flag to start the May meeting. 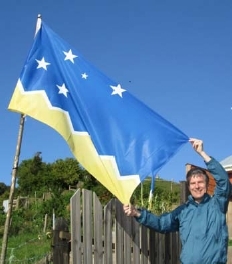 Fred Barrett describes his proposed flag for Oregon, as an image of it flying is viewed. 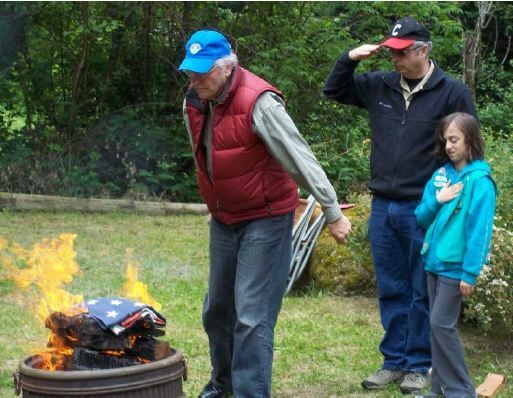 This 46-star (1908-12) U.S. flag once belonged to John Hood’s mother; it has been entrusted to PFA for use in educational presentations. 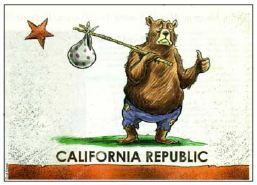 and as always the “What’s that Flag?” (from quizmaster Max Liberman), and notes from our last meeting. 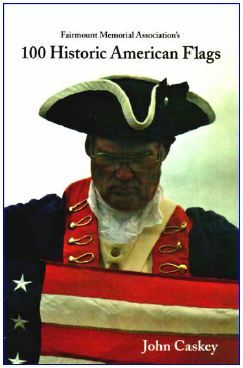 Click here for this latest issue (PDF, 2.0MB), or see portlandflag.org/vexilloid-tabloid for access to this and all previous issues. 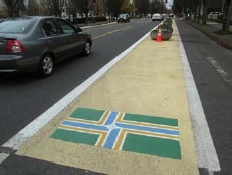 Portland flag on the “beeswax” buffer between car and bike lanes on NE Multnomah St.
What’s that proposed US state flag? 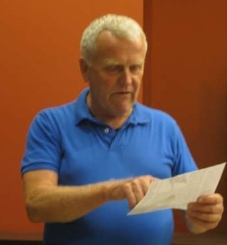 Patrick Genna shares Philip Tibbetts’ designs. 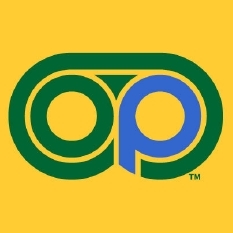 The Twitter logo of @concertcoopPDX. Concert Co-Op: PDX offers music news, concert tickets, and ticket giveaways. 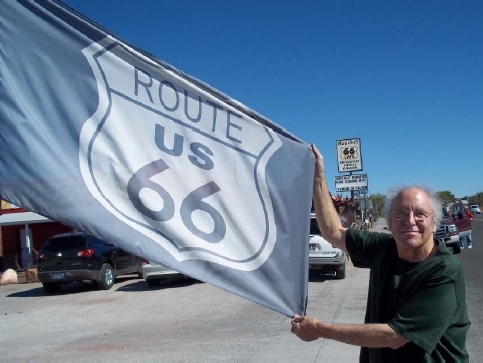 Michael Orelove on the way to Flagstaff, AZ with a US Route 66 flag. 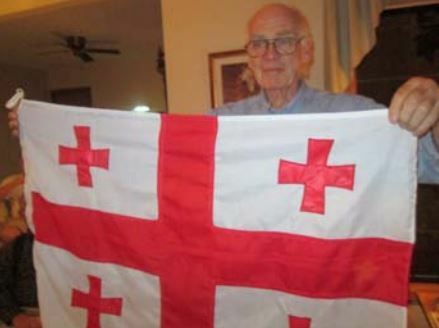 Ted Kaye with the flag of Magallanes y la Antartica Chilena (12th Region). 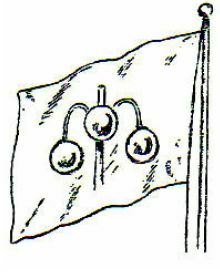 He found it in the village of Tenaun, which is in Los Lagos (10th Region). 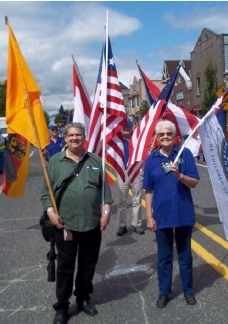 Patrick Genna and Vera Robbins march with Michael Orelove (not pictured) and the Kiwanis in the Troutdale Summer Fest Parade. 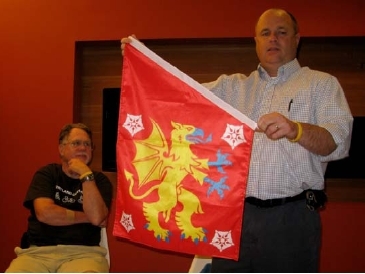 John Niggley shows the Östergötland banner of arms while Mike Hale looks on. 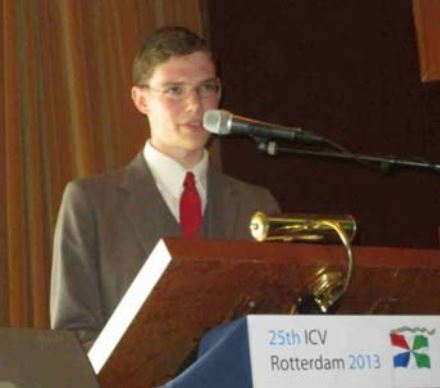 Author SDMPosted on March 11, 2013 January 18, 2015 Categories Vexilloid TabloidTags Vexilloid Tabloid, VexTab36, VexTab37, VexTab38Leave a comment on Vexilloid Tabloids! 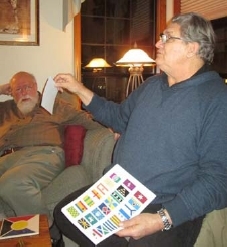 and as always the “What’s that Flag?” or, in this issue’s version, “What’s that Roundel?” quiz (from quizmaster Max Liberman), and notes from our last meeting. 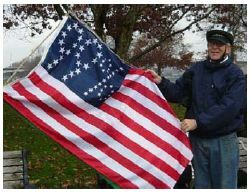 Click here for this latest issue (PDF, 2.9MB), or see portlandflag.org/vexilloid-tabloid for access to this and all previous issues. 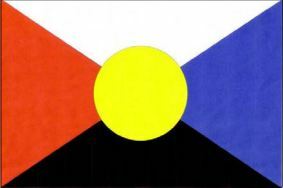 Proposed flag for South Dakota, by Patrick Genna and Michael Rudolf. 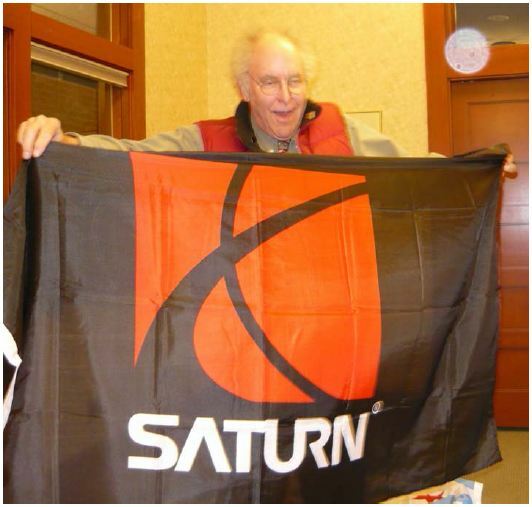 Astronomer Michael Orelove, seeking flags related to objects in the solar system, displays his latest prize. 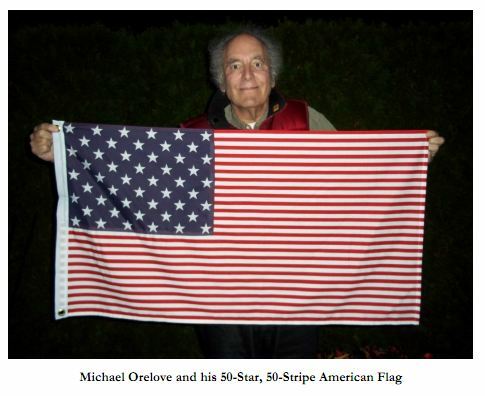 When Michael Orelove had more hair and a moustache, he apparently once resembled Albert Einstein. 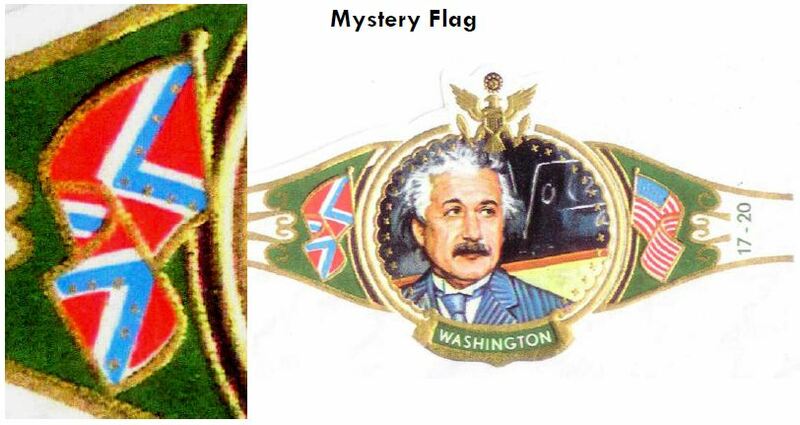 Michael’s brother recently sent him this image of a cigar band, with two flags. 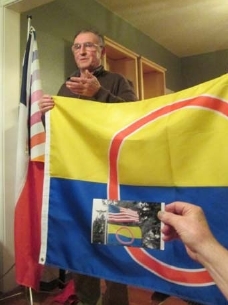 Question: is the flag on the left a crudely-drawn Confederate Battle Flag (ensign), or is it something else? 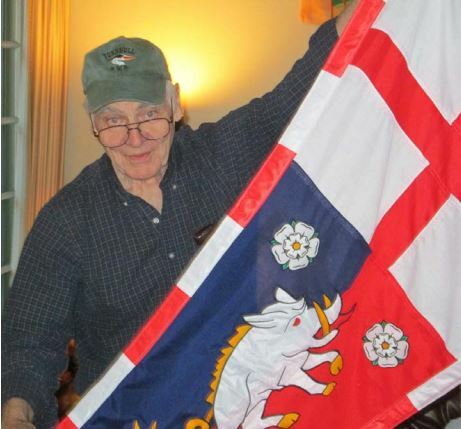 David Anchel describes seeing the flag that cradled President Lincoln’s head on April 14, 1865.
and as always the “What’s That Flag?” quiz (from guest quizmaster, Patrick Genna), and notes from our last meeting. 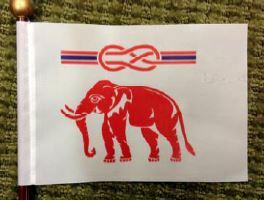 Click here for this latest issue (PDF, 1.6MB), or see portlandflag.org/vexilloid-tabloid for access to this and all previous issues. 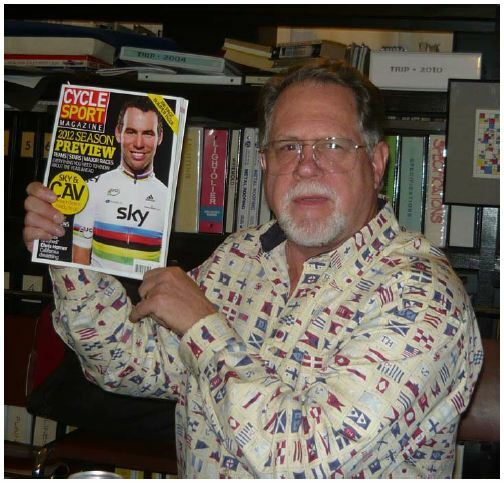 Newly-retired Mike Hale highlights the jersey worn by the world’s current bicycle racing champion, on the cover of Cycle Sport magazine. 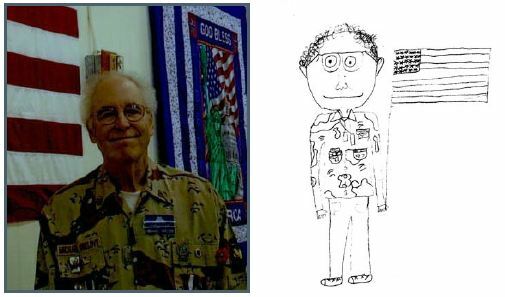 Michael Orelove, in uniform — in person as as drawn by his grand-daughter. 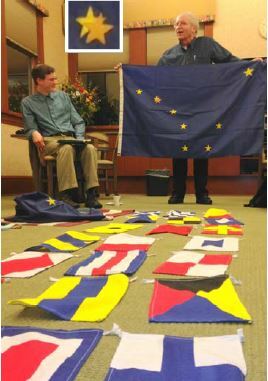 and as always the “What’s That Flag?” quiz (from our quizmaster, Max Liberman), and notes from our last meeting. 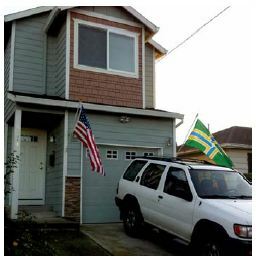 Kudos to PFA member Dennis Stevens for flying Portland's flag at his home. 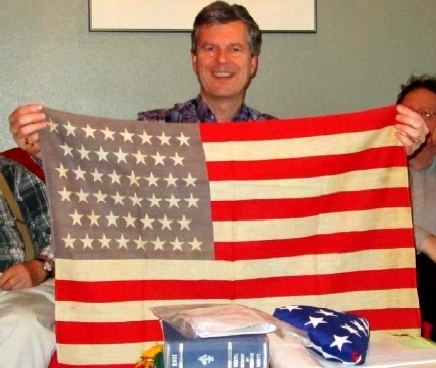 David Ferriday's flag "for all Mankind in the 21st century"
and as always the “What’s That Flag?” quiz (from our quizmaster, Max Liberman), Flags in the News, and notes from our 2011 meetings. 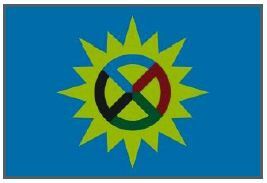 Click here for this latest issue (PDF, 1.1MB), or see portlandflag.org/vexilloid-tabloid for access to this and all previous issues. 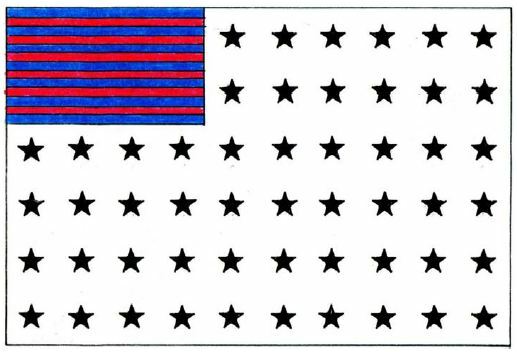 What if the US had kept adding stripes, not just stars, to the flag? Michael Orelove made this answer.